Economics was once described by Victorian historian Thomas Carlyle as “the dismal science.” The term has taken on many shades of meaning since Carlyle first coined it in relation to the promulgation of slavery in the West Indies, a horror he supported in view of his philosophy that people are intrinsically unequal. Thomas Malthus upheld a similar outlook when, in his view, a growing population need be pitted against the fearful reality of limited resources. Lack of economic discipline from the top would surely yield a burgeoning population below that would then predictably outstrip food stores. Perpetual misery would be the result. Paradoxical abstract economic thinkers like John Stuart Mill argued there was an intrinsic equality in people and that the need was for structural change, not slavery. Mill’s approach spelled disaster in Carlyle’s worldview wherein a financial elite need tenaciously hold the economic reins. When I first came across Carlyle’s descriptive, images of miserly accountants poring over multitudinous ledgers came to mind as did the deft, vivid portrayals of the economically deprived found in the novels of Charles Dickens. These images also have much to tell us about economics being viewed as a dreary discipline, as the sphere of the would-be depressed. In contrast to Carlyle’s view, still lingering today in keeping states in dependence for the sake of economic growth of the strong, is the economic thought of the beloved Hindu mystic Mohandas Gandhi. His nonviolent actions on behalf of the Indian poor helped free them from the shackles of a religiously rigid caste system fortified by the corresponding ethos of British colonial rule. 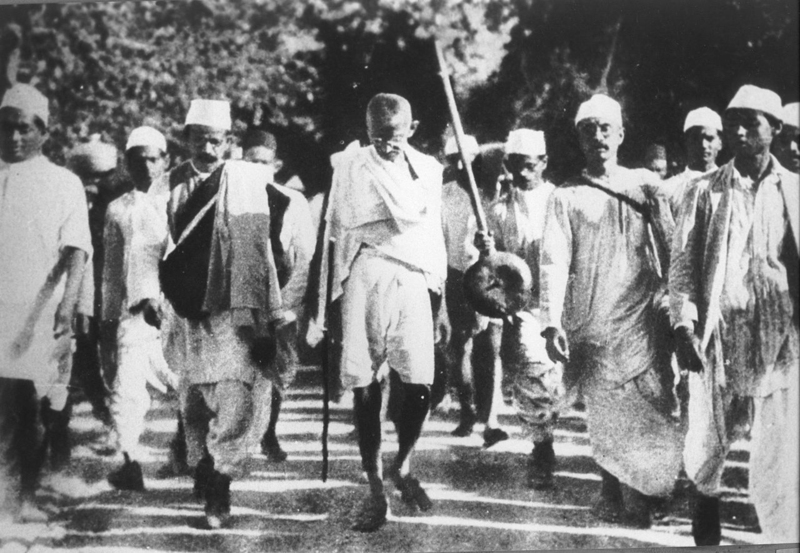 The Mahatma, much moved by his Hindu faith and much influenced by the life and teachings of Christ, asserted that “there is enough for everyone’s need but not enough for everyone’s greed.” This was the quite essential nonviolent economic salvo, the would-be pacific “shot heard around the world.” This Gandhian seed of envisioned equity, if planted and watered in welcome soil in the contemporary West, could instigate a restoration of economic health for those suffering from the affluence, self-interest, indulgence and indifference that have produced negative consequences for our own minorities at home and the subjugation of other peoples abroad. Much progress has been made but too little has substantially changed as to make 19th century scenes out of the Jamaican plantations or Dickens’ London completely things of the past. Who among us would care to take good note of these historical precedents and current realities and do something about them? My dear late friend, Chuck Matthei, an American adherent of Gandhian economics, did. He taught how elegant, wondrous and exciting the science of economics could be if esteemed also as the art of mutually beneficial relationships, the fruit of which he predicted would be a more just and compassionate exchange of goods and services. Chuck came to this economic vocation very personally — his ancestors were slaveholders, but he, drawn to Judaism’s sense of justice, felt called to atone this misconduct. He got to work on civil rights, peace, anti-nuclear organizing, and proposing and pioneering new models of land tenure. He established loan funds for low-income people and projects and trusts for the protection of threatened agricultural lands. He opposed nuclear weapons and power with a Gandhian fast and encouraged fellow activists (myself included) to persevere in our work with and alongside the poor. Chuck possessed rare gifts of insight and persuasion that won over judges, dignitaries, even critics and opponents of his causes. A convert of sorts himself, Chuck grew expert in drawing others to their own entertainment of generous living in the light of Gandhi’s truth that means and ends are inextricably linked. How did Chuck become this gentle and yet uncompromising upholder of cherished principles? Chuck was influenced by the land-reverencing writings of Kentucky farmer Wendell Berry and the philosophical writings of Viktor Frankl. He was a dear friend of Dorothy Day and her Catholic Worker movement. Like Frankl, he was motivated by interior conviction. And like Day, he bore social commitments that could not, in good conscience, be put aside. Chuck had the gift and chutzpah to cut through complex economic languages and activities that have generally tended to insulate financial elites from the influence of the non-professional and the needs of the indigent. Chuck grew to be a much needed and celebrated iconoclast, a highly skilled economist serving the economically wounded. Through his witness, a lesson we can learn from Chuck is how not to be so easily intimidated by the attention to minutiae that is part and parcel of economic life, but see there is a larger picture that has a rightful claim to our attention. Such a disposition could elicit the needed creativity and inventiveness to produce and sustain an economics of hopefulness. The root meaning of the word economics from the Greek oikonomia is the proper management of a household. It seems that since the first photographs of the Earth were taken and beamed back to us from outer space, we have had the opportunity to view this beautiful blue/green ball spinning around the sun as just as much a household as our personal domiciles. 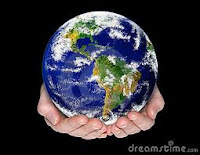 The Earth truly is our shared home, blessed by God and blessed by us too when all of us exercise good management skills! Yet most of us, understandably, prefer to relegate our role as householders of the planet to specialists, thus perhaps abdicating a role we were meant to assume in some form or other. Chuck would encourage us to live in a more blessed relation to our neighbors and indeed to all of creation if we would survive as a species and as a planet. What if we acknowledged our larger roles as participants in exchanges of all sorts, coming to see for ourselves that economics really is about relationships as Chuck did? Are not all of us economists in fact? The recognition of such can potentially place us in a new context for solving problems thus helping to renew our interdependent lives and replenish the resources we necessarily depend on for our shared well-being. Might we more courageously take up bold initiatives in the direction of sustainability? Might we better honor the rabbinical saying that before each and every person there walks an angel proclaiming: “Make way, make way for the image of God” or adhere more closely to the Gospel mandate to treat “the least of these” as we would Christ himself? What if our economic lives were defined by our belief that we should defend the dignity of each human being by lovingly being each other’s economic keeper? When my friend Chuck died, 500 friends and admirers showed up for his memorial service at the Roger Williams Church in downtown Providence, Rhode Island. The editor of Sojourners Magazine, Jim Wallis, who published Chuck’s writings on economics, told the assembled that while Chuck never claimed to be a Christian, he knew no one more like Jesus than this man. 500 heads nodded in assent. It was quite a tribute to a man who took nonviolent economics very seriously. In his honor and for our own, might we do the same?